Council has voted for a new round of sanctions against Iran. The UN, it appears, does not desire a nuclear-free Middle East. statements emerged from various quarters. exercise, but its inherent contradiction is glaring. is destined to further isolate the latter from Iran’s market. the new post-financial crisis world economic order. owns vast amounts of natural gas and oil – is quite baffling. It does, however, make good sense to Chinese strategists. reserves threaten Russia’s dominance in supplying Europe and others. Iran – influence or threat? planning to open a new nuclear power station in Iran in August. aimed at reducing Iran’s nuclear capabilities. has no incentive to return to nuclear talks. influence, while the Chinese and Russians continue to rise. than 4,000 invasive IAEA inspections to date – that faces sanctions? otherwise is to misunderstand Iranians. rapprochement with the US in a long time. proposal made by the UN six months earlier. and sanctions against their economy. UN Security Council is growing increasingly irrelevant and biased. The US’ games have in effect crippled the UN. and do not necessarily reflect Al Jazeera’s editorial policy. Col. Ann Wright (ret. ), a former U.S.
flotilla and siege of Gaza. end, not to stop intercepting weapons. explained why it’s a serious crime here. analyses and delegitimizing Israel out of sheer, irrational animosity. which rules the Palestinian territory. blockade is to stem the flow of weapons to militants in Gaza. operate using ‘economic warfare,’” the government said. government delivered its statement earlier this year. Hamas remains in control” of Gaza. used for military purposes, Israeli officials say. allowed an average of 10,400 trucks to enter Gaza with goods each month. Israel now allows approximately 2,500 trucks a month. goods were listed as entering Gaza. inevitable, somewhat crazed approach to diplomacy. to come to terms with these differing points of view. Security Council earlier this week. further than seeking atomic power for peaceful, energy purposes. sources in the United States is more than that of Mr Obama,” he said. divulge what this might entail. Tehran cannot be trusted on the issue of its nuclear ambitions. impression is not a correct impression,” he said. which are outside his portfolio”. Palestinians. It is impossible,” he claimed. internal challenges since it came into being in 1979.
taken aback by the post-election mood. there be a less heavy-handed security response this time? oversaw Ali Larijani’s campaign bid. nuclear negotiator between 2005 and 2007, is now speaker of the Majlis. to which the administration can even plausibly lay claim. isolated — internally, externally — has fewer friends in the world." Treaty, i.e., Iran] will be isolated." deal that was designed to torpedo U.S. attempts to impose U.N.
de-legitimize Iran in the very international institutions he treasures. Senegal, Gambia and Uganda. Today, he is in China. with Lebanon abstaining and Turkey and Brazil voting against. To say nothing of Brazil. 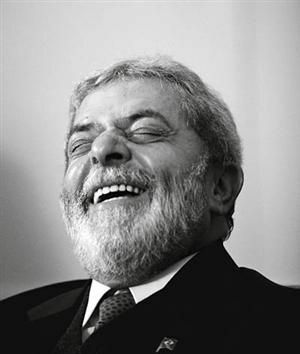 Et tu, Lula? weakness, evidence that Obama can be rolled. « Gulf Disaster: Criminal or Incompetence? triumph of the first order. To begin with, the agreement upends the U.S.
with the Iranian regime is possible – one that differs from the way of the U.S.
due to the double standards they apply in the Middle East. politics, presenting new initiatives for solving intractable age-old problems. and views about our nation. response(s) to this topic so far. Mavi Marmara. And guess whose fault it was. (Are you ready for this?) Iran! ships carrying weapons could have come." Israel’s PM insists at every opportunity. very well never exist — for two reasons. eyes are on the terrible attack at sea, it’s not likely to get any notice. concocted version of the Mavi Marmara tragedy. every other city in Iran. according to Barak, Middle Eastern nations should show no mercy to the weak. destroy them if I could. I’d play by Israel’s rules and show no mercy. definition. So they’ll pounce on us as soon as we show any sign of weakness. (they’d say, if they were honest) of appearing weak. the world"? Give me a break. not the time to stop pushing. pathology that can only be cured by its defiance."